A Porsche is a perfect balance of power, handling, and art. 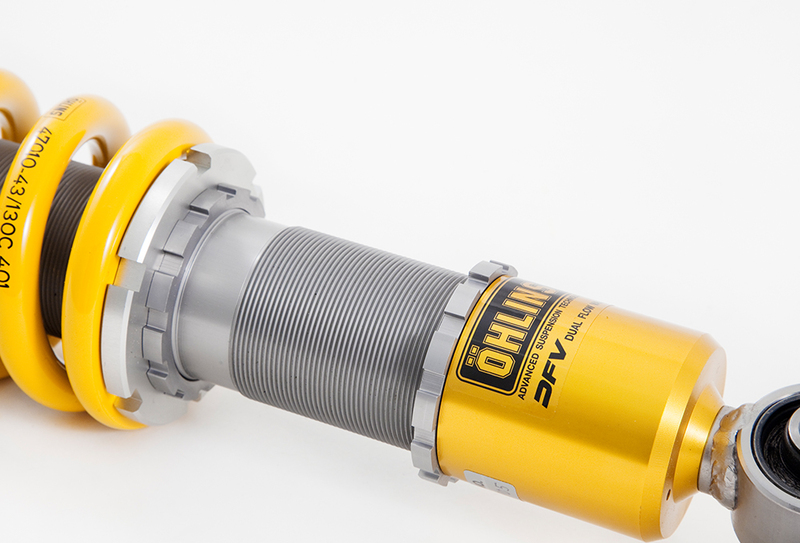 JWE's vast experience in suspension tuning makes it easy for you to achieve the ride and handling you desire. We have the knowledge and materials to tune your ride. 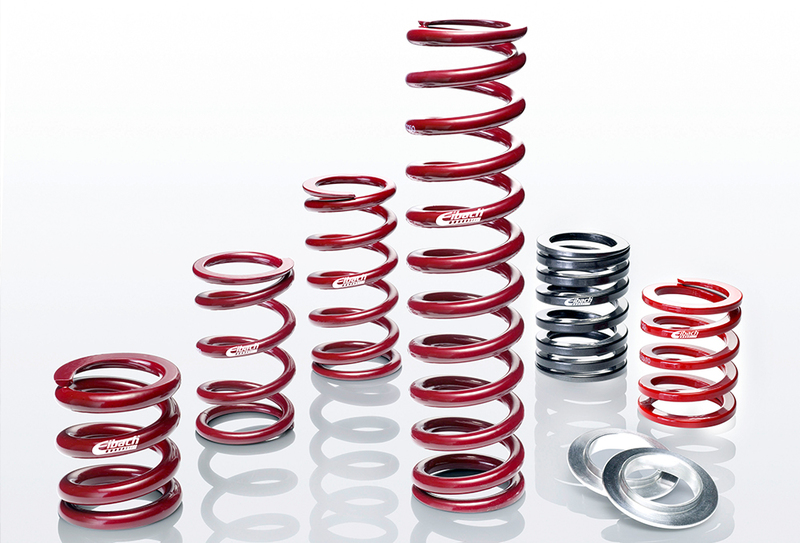 From coil overs to torsion bars, JWE has all of your suspension needs covered. Sanders makes the highest quality torsion bars for Porsches and Eibach quality springs are available in a wide range of rates allowing for easy adjustments and precise tuning. Anti-roll bars (or swaybars) are a very important tuning tool. Properly made kits are created with quality components, variable rates and kinematically correct. JWE Motorsports offers a kit for '89 and earlier 911s. Four interchangeable bars are available: 20, 23, 27, 31. You won't believe the difference a four-wheel alignment and corner balance can make when they're done at the same time. With one adjustment effecting another, it takes racing experience, patience, and determination to perform a full alignment correctly. JWE has vast experience in four-wheel alignments, ride height adjustments, corner weights, bump steer, toe steer, and roll center. 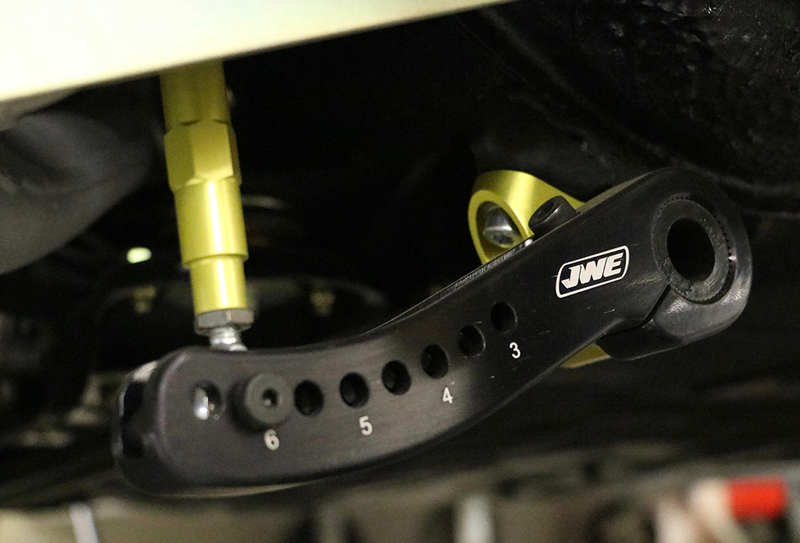 If you're looking to win a championship or feel the difference in a high-quality alignment, choose JWE Motorsports to set it up.